Marko, Thomas and the Kenttäkumpu brothers, all originating from Borås, formed the Swedish death metal band EVOCATION in the fall of 1991. In 1992 two demos were recorded. The first one was produced by Tomas Skogsberg in Sunlight Studio and resulted in a three track and intro demo limited to 500 copies titled ”The Ancient Gate”. Skogsberg also wrote a letter of recommendation and promoted EVOCATION to the major death metal labels at that time (CENTURY MEDIA, EARACHE, NUCLEAR BLAST etc.) and later in an interview he named EVOCATION as “the best demo band he ever had recorded”. Previous to the second recording bass player Christian “Kricke” Saarinen, from Cemetary (BLACK MARK), reinforced the EVOCATION line-up. After the recordings EVOCATION did gigs with bands such as Ceremonial Oath, Dark Tranquillity, Dismember, Liers in Wait and Master. At the end of 1992 EVOCATION was considered as one of the most interesting death metal acts from Sweden, with a unique mix of the Gothenburg and Stockholm death metal sound. 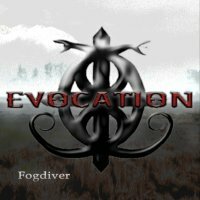 Despite the fact that several major labels contacted the band, EVOCATION was put on ice in the autumn of 1993 due to musical differences. From 1993, members of EVOCATION have been involved in various projects such as Cemetary/Sundown (BLACK MARK/CENTURY MEDIA) and Lake of Tears (DOCKYARD 1). 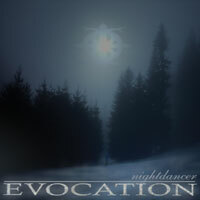 In 2001, the band was contacted by BREATH OF NIGHT RECORDS (distribution by MERCILESS RECORDS) and in November 2004 EVOCATION returned from the dead as the two demos were released worldwide as a full length, self titled album on CD (Digipak) and LP (limited to 500 copies). All around Europe, the response has been overall positive, Frank Schenk at Chaos Mag rated it “9/10”, Chris Davison at www.live4metal.com called it “Absolutely outstanding”, Richard G. at www.lordsofmetal.nl rated it “80/100” and Patrick Walsh at www.ultimatemetal.com rated it “8.5/10”. Interviews were featured in magazines like Chaos Mag (DE), Legacy Mag (DE), Lords of Metal E-zine (NL) and Metal Age (DE). In the summer of 2005 EVOCATION started to rehearse again and during 2006 a new full length album, “Tales from the Tomb”, was recorded. In this period some live performances were also done with bands such as Dismember, Lake of Tears, Rotting Christ, Tankard etc. Bass player Kricke will not be featured on the new album, since he felt that he neither had time or energy. EVOCATION thanks Kricke for all the years that he has been a part of the Tribe! As a replacement, a new four stringed bender called Martin “Tore” Toresson was recruited in the summer of 2005. Hellcome Tore as a new member of the EVOCATION Tribe!!! Today EVOCATION is here for the sole purpose of bringing you raw, pure and brutal Swedish Death Metal! 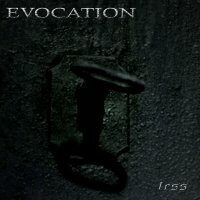 After having recorded a three track demo in 2006, EVOCATION was once again approached by several labels. In the beginning of 2007 a new era in the EVOCATION history was entered with the inking of a multi album deal with the German label CYCLONE EMPIRE. The new album “Tales from the Tomb” will be released worldwide by CYCLONE EMPIRE and hit the stores in the spring of 2007. Artwork for the album will be made by Dan Seagrave. A first taste of the new album can be found in HEAVY MAGAZINE, METAL CRUSADE VOL. XIII where EVOCATION is featured with the track “The Dead”.